While braid or ribbon trim on edges is a common accent technique throughout the decades, the rows of descending length make an architectural statement. Interesting. 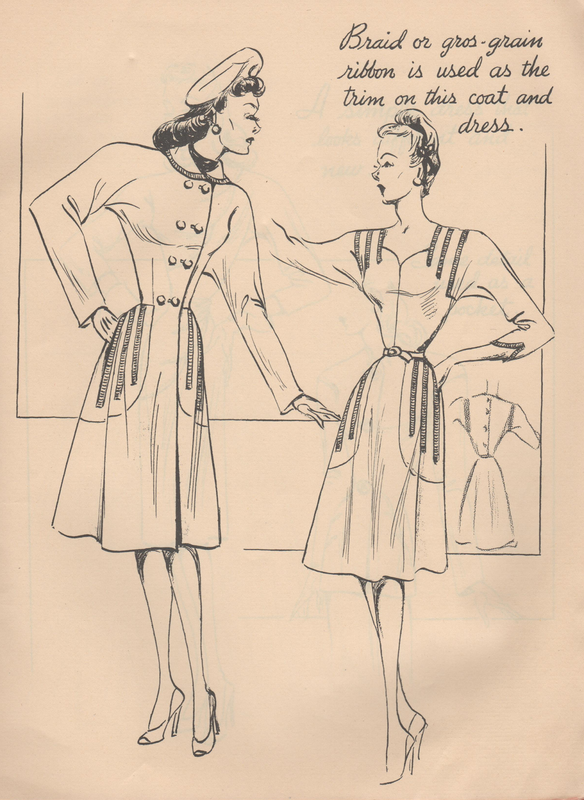 Labels: 1940s, braid, fashion design, fashion trends, grosgrain ribbon, Originator, Originator Publishing Co. I'm loving these sketches from the Originator you are sharing! So inspiring!